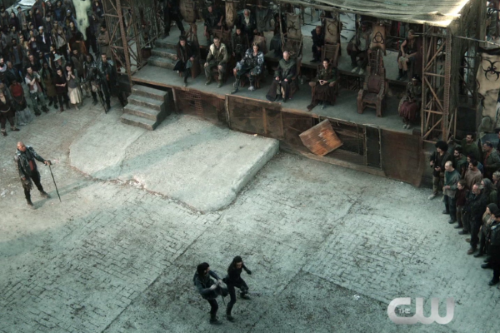 The 100 Season 3 Episode 4 Official Description for "Watch the Thrones"
The CW has released the logline for The 100 Season 3 Episode 4 "Watch the Thrones" airing February 11, 2016 at 9 pm ET on the CW. Isaiah Washington, Bob Morley, Marie Avgeropoulos, Lindsey Morgan, Christopher Larkin, Ricky Whittle and Richard Harmon also star. Ed Fraiman directed the episode written by Dorothy Fortenberry (#304). The 100 Season 3 premieres January 21, 2016 at 9 pm ET on the CW.